Free Week unlimited Training - Start Getting More Confidence Now With Our Proven System! Do you﻿﻿﻿﻿﻿ ﻿﻿﻿﻿﻿want your child to be a confident successful adult? Need﻿﻿﻿ something for them to do or worried about their health? Lacking in discipline and respect? 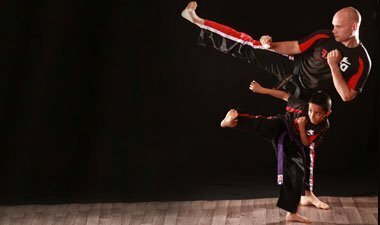 After Martial Arts steered my life to a more successful path I wanted to develop a system to help others use martial arts as a way to succeed too. Uniquely suited to develop people into the best version of themselves, as we get to know each person well, develop their ﻿﻿strengths ﻿﻿and work on their weaknesses, not just physically but mentally. We have age specific classes and teaching methods to ensure all students learn the most possible in their time with us helping them to develop faster than others. Full time, state of the art facility, to ensure you have the best time in class, in a comfortable environment with all the equipment needed. 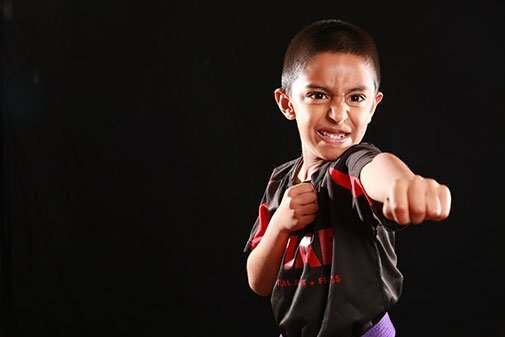 Fast paced, fun, and competitive, with quality martial arts, to give your child a fun workout to make them fit, strong and healthy, while developing them into champions in life. We’re so confident you will love our program, that if after 30 days you don’t think its for you, we will refund you every penny you’ve spent with us! So if you want to get on the success train - book your free week trial now.